The traditional ancestral practice known in the West as “barn raising” is present in village societies on every continent and has its roots in our tribal past. An adapted form of barn raising has recently seen a resurgence in the “urban village,” with grassroots community organizations transforming physical and social landscapes in cities. They do so by adding value to the community, creating bonds of trust and comradeship, and linking neighbors together. There are hundreds of urban village projects around the world. Below are five worth watching. City Repair is a Portland-based non-profit organization focused on placemaking. According to their website, they facilitate artistic and ecologically-oriented placemaking through projects that honor the interconnection of human communities and the natural world. The organization’s centerpiece is the Village-Building Convergence, an annual modern-day urban barn raising event. This event takes places at more than 50 sites simultaneously across Portland, where neighborhoods come together to create new spaces. The three primary activities are natural building, permaculture, and intersection repair, which often involves painting street intersections with murals. The presence of these murals causes traffic to slow down and has been directly correlated with a decrease in traffic accidents. Physical outcomes of City Repair efforts include beautified intersections, community gardens, naturally built structures such as benches, and an expansion of the commons. Spin-offs of the convergence have emerged in Santa Barbara and Sebastopol, as well as PLACE for Sustainable Living in Oakland. City Repair created a manual for how to organize a Village Building Convergence and the event has the potential to be replicated globally. City Repair has also achieved success in shifting Portland city policy to give citizens more control over public space. City Repair brings people together to reimagine the places they live and to re-create the commons. The organization started its work by reclaiming these spaces through direct action, such as their iconic Share It Square project, where neighbors came together and decided, despite the Portland city government, that their intersection would be improved by a central mural, a tiny library box, a self-serving solar-powered tea station, a community message board, and a children’s play space. They created these features themselves. Now, the City of Portland recognizes the great benefit these common spaces provide and has permitted the process of Intersection Repair. Through the activities of City Repair, neighbors are skill-sharing and creating new relationships. As the commons are reclaimed and beautified, more public gathering spaces are made available for Portland’s citizens to congregate. Portland’s neighborhoods are forming closer bonds, and fences are coming down to make way for urban wildlife corridors. The Permaculture Action Network developed a methodology for “Permaculture Action Days,” one-day events designed to co-create a more regenerative world through communities taking action. These events have the feeling of a blitz or flash mob. Permaculture Action Network partners with local community organizations to identify appropriate project sites, mobilize local human and material resources, and facilitate the events. 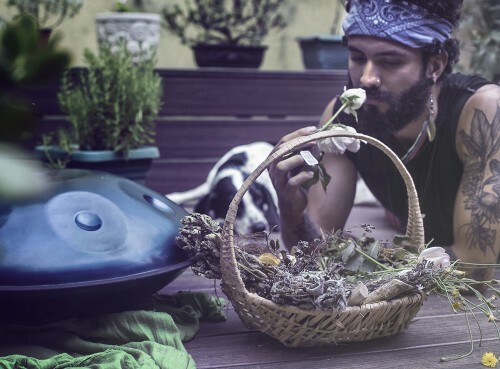 The organization has facilitated 50 successful Permaculture Action Days in more than 40 cities around the United States, mobilizing up to 400 people at a time to build urban farms, natural buildings, and other ecological systems. Participants come away empowered with new skills and confidence, new relationships with like-minded neighbors, and a community garden, food forest, or greenhouse in their neighborhood. Permaculture Action teams up with festivals to bring attendees to a Permaculture Action Day before entering the grounds. At these events, festival-goers help with projects. One example is a cob, outdoor classroom made of all natural materials at an elementary school near the Lightning in a Bottle music festival in Southern California. They also host educational workshop spaces, known as Permaculture Action Hubs, within events. These hubs offer courses in how to design, implement, and take action. They focus on ecologically regenerative design and techniques, community organizing and social change methodology. The Landless Workers’ Movement (Movimento dos Trabalhadores sen Terra), or MST, is a Brazilian workers’ rights movement dedicated to agrarian reform and social justice. It has 1.5 million members across Brazil. Directly: Reclaiming commons by cooperatively organizing, occupying, and utilizing abandoned or unused land. Education: Raising awareness about wealth inequality, racism, sexism, media monopoly, and other social issues. MST provides literacy education to its members, has its own university, and trains primary school teachers across Brazil in partnership with UN agencies and the Catholic Church. MST partnered with the Venezuelan government to create the Latin American School of Agroecology. The MST is a grandfather in the movement, founded officially in 1984, with ties to Catholic Church organizations and with its roots in the liberation theology movement that emerged across Latin America in the 1950s. NuMundo uses technology to build movements through a platform that catalyzes the transformation of physical spaces on a global scale. This happens by connecting sustainable living education centers with resources, information, students, and skilled practitioners. 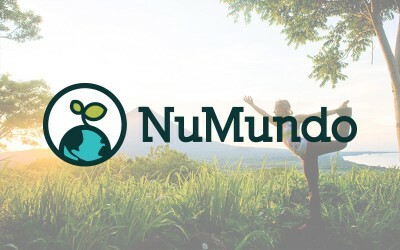 NuMundo is a network of activists, technologists, and event producers with a multifaceted approach to social action. During their Earth Odyssey Bus tour in 2013, NuMundo (formerly Project Nuevo Mundo) took a group of skilled builders and permaculture designers across Mexico and Central America to support community projects such as an orphanage, an agroecology education center, an indigenous women’s clothing production cooperative, a community nutrition center, and a primary school. NuMundo also hosts educational events on various aspects of village-building. Aside from on-the-ground work, NuMundo has a unique approach to movement building: the organization hosts networking spaces to link social activists, nonprofits, and community organizations to add momentum to existing projects. Currently, NuMundo is running a crowdfunding campaign to support the growth of their organization. Please donate and share. The Beacon Food Forest is another beautiful example of an urban community mobilizing to bring the village into the city. According to the group, the goal of Beacon Food Forest is to design, plant and grow an edible urban forest garden that inspires our community to gather together, grow our own food, and rehabilitate our local ecosystem. This citizen-led initiative is building an ethnically and economically diverse community around food. The forest is in its initial phases of implementation, and is set to include fruits and nuts from around the world, public community spaces for education and gathering, and a community garden following the ancient village tradition of the commons where community members enjoy access to small individual plots of land. Beacon Food Forest sprang from a student project in a local permaculture design course. It has proven to be just as much a community-building endeavor as a food forest project. Beacon hosts ongoing educational workshops and community work parties, and is looking for more community involvement from Seattle residents. Social and environmental change is being led by grassroots initiatives like these. What each of these projects has in common is that they create resilient networks of people and projects. Ultimately, they are individual movements empowering anyone who wants to get involved to do so. These movements unite people around ideas of self-sufficiency, food sovereignty, social justice and regenerative living systems to weave a strong web of support.